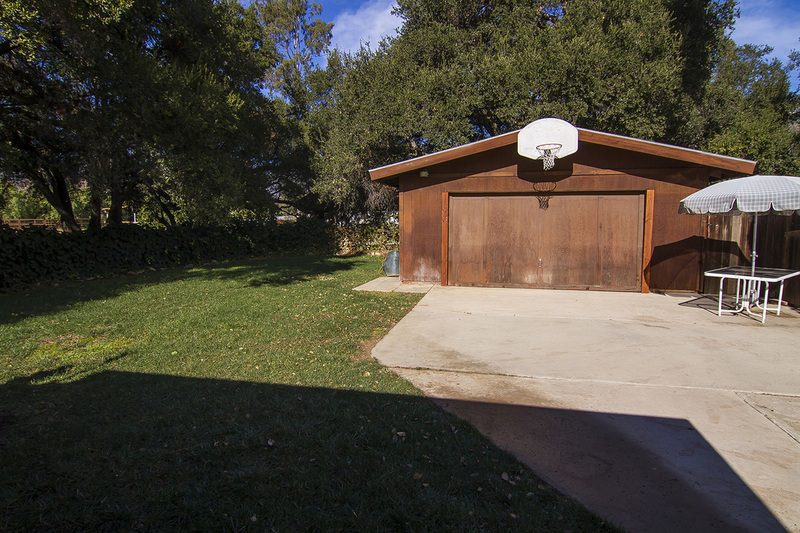 To make this home even more appealing, it is ideally located just minutes from downtown Ojai and even closer to the eclectic offerings of Meiners Oaks. Living in the up-and-coming area of Meiners Oaks means you can spend a lazy Saturday enjoying an organic, fair-trade coffee from Coffee Connection while you browse the offerings at BookEnds, and then stop by Farmer and the Cook for some raw tacos on the way home. It also means living close to some of the most popular local favorites, including The Donut Hole, Jolly Kone and the world-famous fine dining offered at The Ranch House. Being just minutes from downtown Ojai means afternoons browsing the boutiques in the Arcade, enjoying outdoor concerts at Libbey Bowl, catching the latest release at the one-screen Ojai Playhouse, and stocking up on local, organic produce and handmade goods at the Sunday farmer's market. 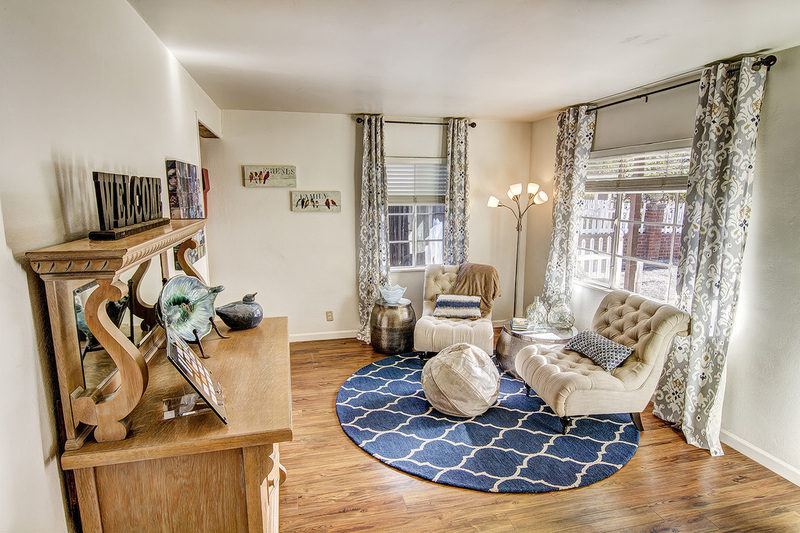 From this great location, you can also enjoy nearby hiking trails, being minutes away from the world-renowned Oak Grove School, and riding your bike or jogging on the paved Ojai Valley Trail. Folks who love bicycling can also ride to the beach using the Ojai Valley Trail and Ventura River Trail. 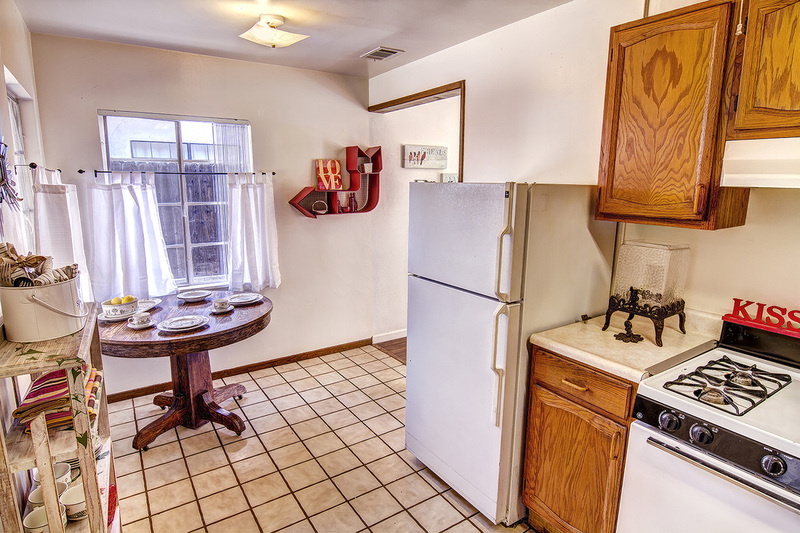 Inside the cottage, you will find a living room with lots of natural light, laminate and tile flooring, a laundry room for extra space, an eat-in kitchen with lots of cabinets and a tile bathroom with extra storage. Both bedrooms have two windows to allow in natural light. One bedroom has a ceiling fan and looks out to the front yard, while the other looks out to the large, grassy area in the backyard. Covered front and back porches provide room for seating areas and the fenced backyard offers plenty of room for a large vegetable garden or entertaining area. There is also a detached, two-car garage and a large guest parking area that could also be used as a patio or entertaining area. 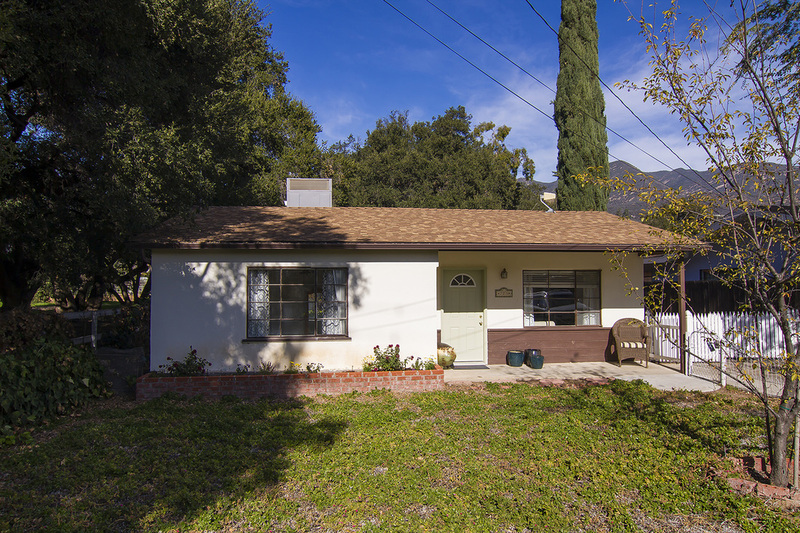 Just a few minutes from the offerings of Meiners Oaks and downtown Ojai, and only about 20 minutes from the beach, this quaint, turnkey cottage could be a great vacation rental for someone looking to invest in Ojai real estate or an ideal home base for someone looking to downsize or buy their first home. If you would like to learn more about this home for sale or would like to schedule a private showing, contact Nora today!